Did a hotel security lapse contribute to the injury of two young men? A shooting at a Macon hotel reportedly left 17-year-old Jakari Phelps and 22-year-old Willie Phelps injured Thursday night, October 26, 2017. 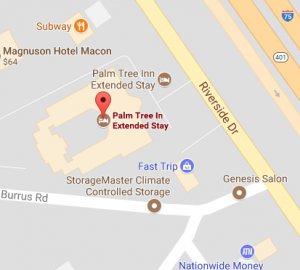 According to The Macon Telegraph, the shooting occurred at the “Palm Tree Inn extended stay hotel at 2690 Riverside Drive,” shortly before 11:00 p.m. Jakari Phelps, a guest at the hotel, was apparently meeting his relative, Willie Phelps, outside when they were approached by an unidentified suspect. News 13 WMAZ reports, “[B]oth victims ran into the hotel and started banging on doors” for help when the suspect opened fire “in the hotel hallway.” The victims were transported to the hospital with gunshot wounds. Their current conditions have not been released. Did negligent security contribute to this senseless Macon hotel shooting? We represent individuals and families in Georgia who have suffered a tragic loss or injury as a consequence of negligent property security, and we have recovered tens of millions of dollars for our Clients. 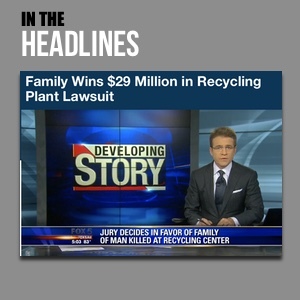 Read Our Legal Take to find out if the victims may have legal avenues for justice and claims for substantial compensation in Georgia, or call now for a free consultation with out legal team: 478.246.1010. Was hotel security or management on duty at the time of the shooting? What security measures, such as gated-entry, security patrols and surveillance cameras, were in place to deter crime and protect guests at the time of the shooting? By law, property owners in Georgia are required to protect all those legally on the premises from any foreseeable harm. Should the facts of this matter reveal that the motel owner failed to provide adequate security, Jakari and Willie Phelps may seek justice and elect to pursue legal claims for their injuries.